Who doesn’t love a Ferrari? 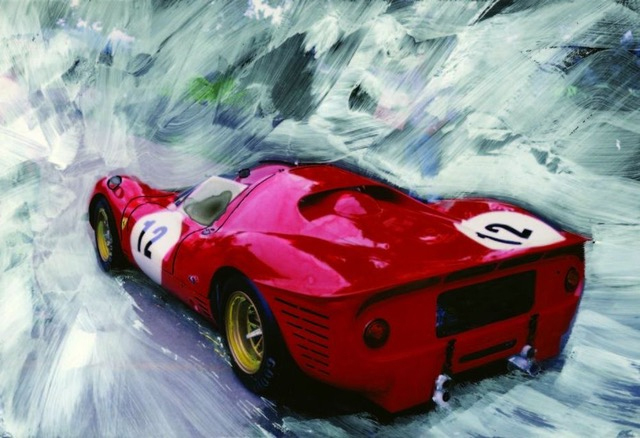 Artist Wallace Wyss specializes in exotic car artwork, a lucrative and exciting addition to any U.S. gallery. And now for a limited time you can feature a Wallace Wyss print, absolutely free. Please complete the form below to apply for your free Wallace Wyss print. If you qualify, a Wallace Wyss print will be shipped to your gallery without charge. Limit one print per gallery, U.S. galleries only. Do You Own an Art Gallery? 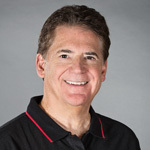 Jim Ciardella is a storyteller, Ferrari owner & club member, and native Californian. Born and raised in Palo Alto, he grew up in the heart of Silicon Valley and witnessed the dot.com boom and the changes it created. And he heard incredible stories, some of which he believes deserve to be told. 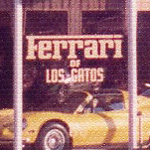 Brian Burnett and Richard Rivoir shared a dream that changed their lives, helped create the North American market for Ferrari, and put Los Gatos, California on the map. The Silicon Valley business they started in 1976 became the best-known Ferrari dealership in the world. ©2019 Jim Ciardella. Portions ©2019 The Counseling Consultant, Used by Permission. This website is not endorsed by, directly affiliated with, maintained, authorized, or sponsored by Ferrari N.V., or any of its subsidiaries or its affiliates. All product and company names mentioned on this website are the registered trademarks of their original owners. The mention or use of any trade name or trademark in this website is for identification, reference and educational purposes only and does not imply any association with the trademark holder of their product brand.